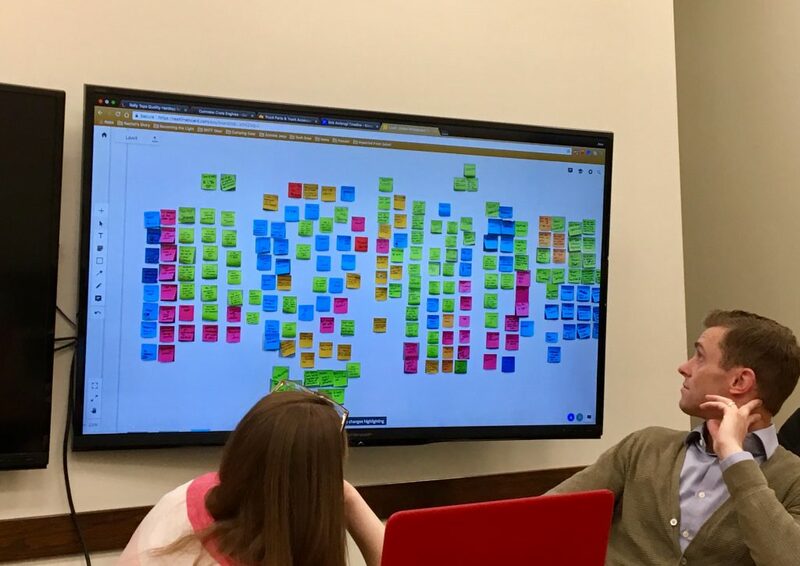 Last summer, I reported on plans for LawX, a legal design lab that BYU Law School planned to launch at the start of the school year. 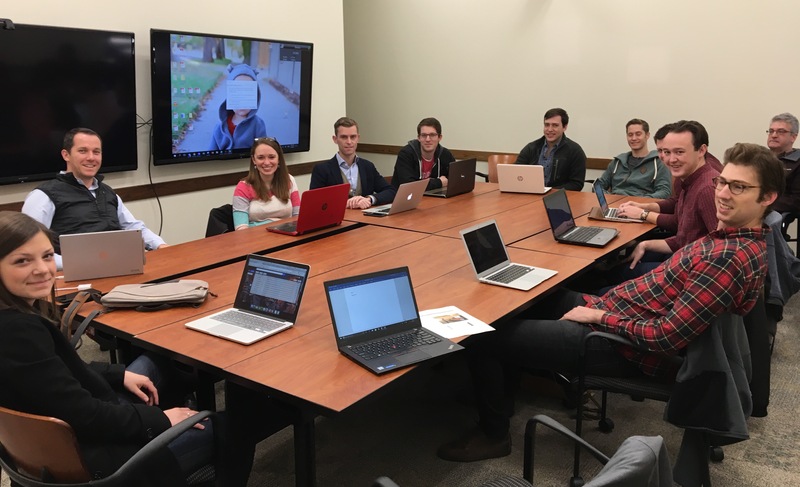 The concept was to have a small group of second- and third-year law students step into the role of entrepreneur to design and build a solution to an access-to-justice problem in Utah. 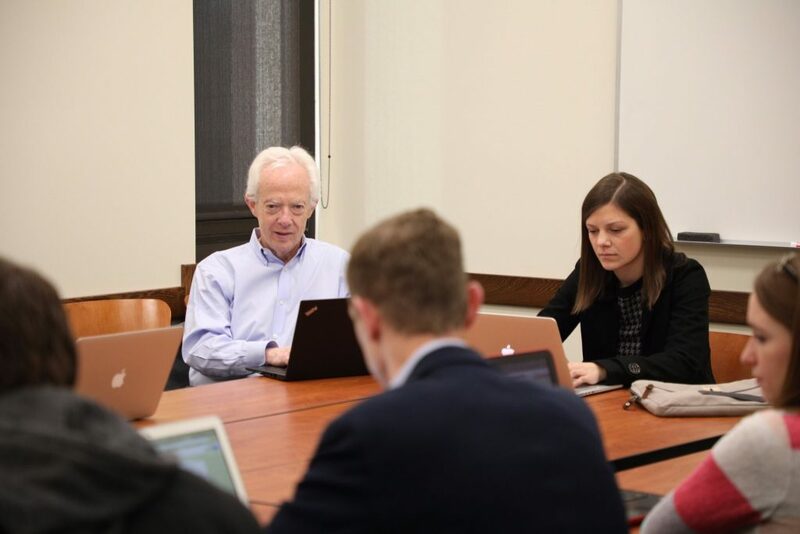 Last week, during a visit to BYU Law in Provo to speak as part of its Future of Law series, I was fortunate to have the opportunity to sit in on the lab, meet the students and faculty involved with it, and hear about their progress so far. Given that it was still early November, I was impressed by how much they had already accomplished. LawX was the brainchild of Kimball D. Parker, the lawyer and entrepreneur who directs the lab, and D. Gordon Smith, dean of BYU Law School. 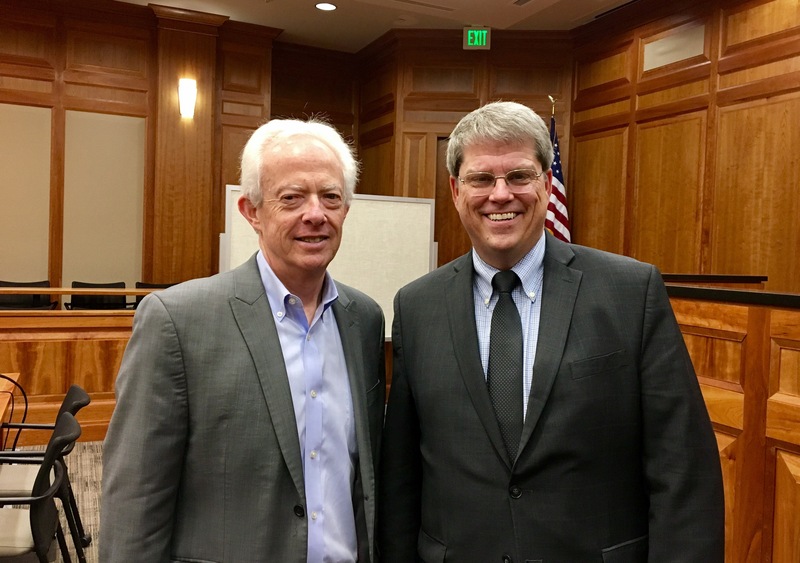 Smith, in his roles both as dean and as a member of the Utah State Bar Commission, had been considering how the law school could help address the state’s A2J problem. One day last year, he sat in on a talk by Margaret Hagan about the Legal Design Lab she runs as an interdisciplinary program of Stanford Law School and the Stanford Institute of Design. “That resonated with me,” Smith told me when we first spoke last spring. After visiting Hagan’s lab in Palo Alto to learn more, Smith connected with Parker, who is a practicing lawyer and the founder of CO/COUNSEL, a legal education and crowdsourcing site, and they began to plan the framework for creating the design lab at BYU. When the students realized they couldn’t leave up their sticky notes between lab sessions, they put them on a virtual whiteboard. • 87 percent of defaults in Utah civil courts are in debt collection cases. • There have been over 330,000 debt collection cases in Utah over the last five years. • Only one in 1,000 debt collection defendants hire an attorney. • 75 percent of debt collection cases default. Having identified the problem to tackle, they started the semester with a crash course in design thinking given by IBM designers Chris Hammond and Russell Parrish. They also brought in Bryan Howell, an industrial design professor at BYU, as a co-professor for the lab. • The professional, debtors who knew they were putting themselves in default but who effectively worked the system. • The newbie, someone who had not previously faced a debt collection matter. • The snowball, the debtor whose indebtedness was only going to get worse, perhaps as the result of a major health event. Dean Gordon Smith came up with idea for the lab then brought in Kimball Parker to help bring it to fruition. The majority of debtors were either newbies or snowballs who were in good faith trying to get out of their debt, the students found, so they decided to focus on those two personas. • Inaccessible rules for how to respond. At this point, it was time for the students to begin thinking about a solution. That meant that they would design, build and test a prototype. The students broke into three teams and each team mocked out a prototype. From those three, they integrated the ideas into a single concept, and went to work building the actual solution. • Onboarding team, including marketing and PR to build awareness of the solution. • Content team, to build out the content related to the solution. • Offboarding team, to look at next steps and sustainability. So what solution did they come up with? Unfortunately, my lips are sealed, at least for now. As a condition of sitting in on the lab, I agreed not to reveal what they designed until various issues can be worked out relating to intellectual property and other matters. Kimball is tentatively targeting sometime in January to make a formal announcement of the solution. I can tell you, however, that they have already built a working prototype and that it is almost ready to go. I can also say that the solution is something that could eventually be adapted in other states and for other kinds of cases. It is extremely impressive that in the span of roughly 10 weeks, these students have identified the problem, researched the problem, designed a solution, and built a solution. Imagine how much progress could be made in tackling the justice gap if more schools had similar teams.